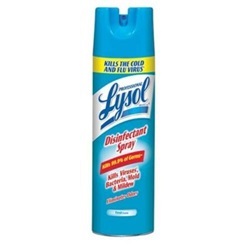 Lysol 19oz. 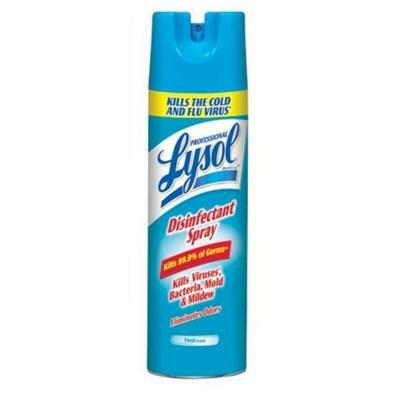 hard surface disinfectant fresh scent aerosol spray eliminates odors and prevents the growth of mold and mildew. Hospital disinfectant highly effective against TB, MRSA, HIV-1 (AIDS virus), poliovirus Type 1 and hepatitis A. Tuberculocidal, virucidal, fungicidal, bactericidal. Contains no CFCs. Manufactured by Lagasse.